Maybe getting dinner on the table every night is a total pain. Maybe you need a little help cutting out processed/frozen/takeout food. Or, maybe you love cooking but just need a little help getting to the next level. Well, after working on it for over a year, I finally opened my online cooking school, the Fearless Cooking Club. It’s alive and ready to be that help for you! The FCC is an online cooking training program for everyday people (like us) who want to eat better, get healthier, create gorgeous food, and have LOTS of fun doing it. Basically, I’m going to turn you into a ninja cook. You’ll have me by your side, personally, every step of the way. 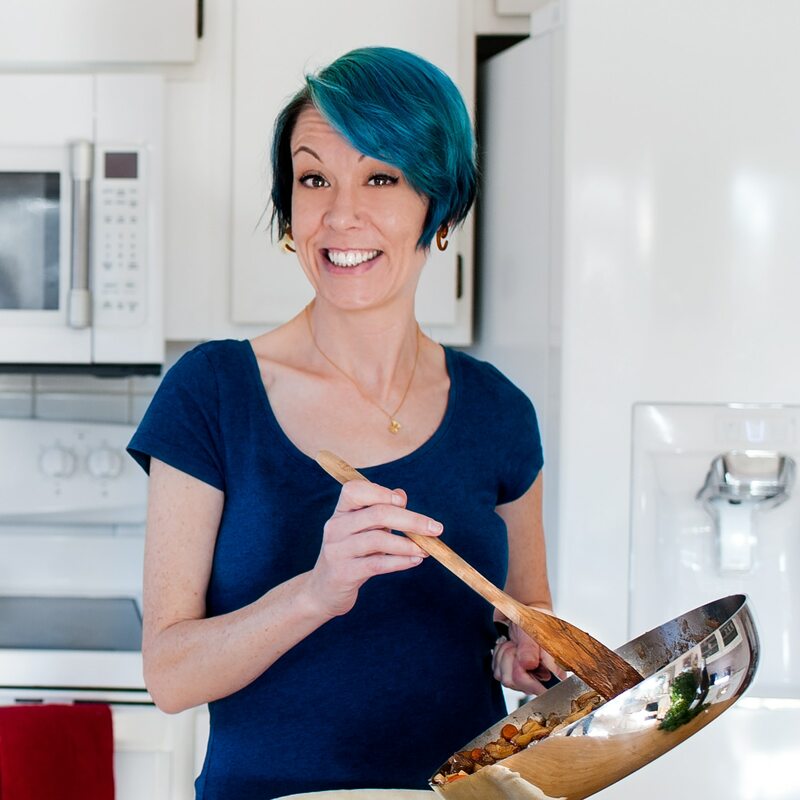 The Fearless Cooking Club is a video training program that includes tons of printable cooking charts and a 24-7 cooking support community. New modules with 10-20 videos and cheat sheets are released every single month. The FCC contains everything I wished I had when I wanted to learn to cook, and again wished for when I was determined to up my cooking game. Instead I had to go to culinary school. Now I’ve put all of my knowledge into the FCC, just for you. For this first week I’ve marked the program at half off, just until Friday, March 22nd. After that I close the doors for a couple of months and reopen at regular price. So now’s the time to check it out! If you have questions, feel free to reply to this email and I will get them answered. I am SO FREAKING EXCITED to see you in there! PS: I want to get the word out to as many people as possible — so I’m hoping you’ll be willing to forward to anyone you know who wants to learn how to cook, anyone who needs to learn how to feed themselves real food.